As part of efforts to reposition the country and support local patronage, the Federal Government has contracted the manufacture of gunboats to Almarine, a division of John Holt PLC. Leading a delegation of the Board of Directors and Senior Management of John Holt on a courtesy call to the Chief of Naval Staff, Vice Admiral Ibot-Ete Ekwe Ibas, the Chairman of the company, Chief Christopher Ezeh, assured of John Holt’s competence to deliver on the contract. He said: “My presence today with my colleagues is to gratefully acknowledge the Navy’s contract to us for the manufacture of gun boats. “As your senior officers sent on inspection of our facilities can confirm, we have sufficient expertise to successfully deliver this project and others such as Ambulance Boats, Mass Transit Boats and Patrol Boats which may be of need to the Navy,” he added. 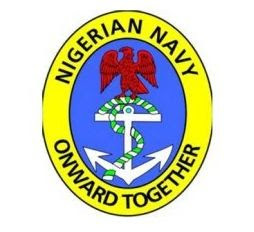 Ezeh further commended the Chief of Naval Staff for his commitment towards equipping the Nigerian Navy for readiness in combating incidents of pipeline vandalisation, piracy and other crimes on our waterways. He assured of John Holt’s undaunting support in the Navy’s fight against sabotage, which he stressed is a threat to Nigeria’s national security and has a negative impact on the economy. In response, the Chief of Naval Staff thanked the John Holt team for their visit and pointed out the government’s current interest in locally manufactured products. He assured of the Navy’s support provided their needs are met. He further highlighted the Navy’s continued determination to ensure security of the Nation’s waterways.